Finally, it is time to create the bathroom of your dreams. 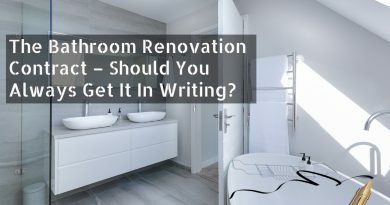 You have been throwing around ideas in your head about what you want your bathroom to look like. Now, it is time to make those ideas a reality and create a plan that will work for you. Here are some tips to get you started before you dive headfirst into remodeling your bathroom. 1# Before you can do anything, you will need to know how much you have to spend. Budgeting is very important and will be the deciding factor on the items you choose to put in your bathroom. When you are determining your budget, be sure to allow a little extra for each item. Don’t forget to include items that may not be as obvious, such as plumbing pieces and other small parts that you may need. Once you decide what you can afford, then you can decide the extent of remodeling you can do. 2# Dream a little. Go through the magazines and write down all of the things you ever wanted to do with your bathroom. At this point of your planning, money is not an issue. You deserve to have your dreams. Most people know that they may not be able to afford the bathroom of their dreams, but it is possible to come close. However, if you do not know what your dream bathroom would look like, how will you try to create it? 3# Ok, you have an idea of what your “dream bathroom” will look like. Now it is time to start pricing some of these items. If that brass faucet is a little pricey, you could substitute it for one that is similar, but costs a lot less. Some items you can go for the “less expensive” version, while other items you would want to pay the price. It depends on the item and the quality of the “less expensive” version. What you think is most important to you will also play a major factor in what you choose. 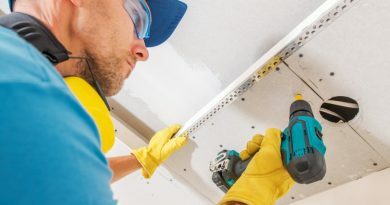 4# When choosing paint for your bathroom, be sure the paint is high-gloss and “mildew resistant” is always a great feature for paint in the bathroom. Another benefit of high gloss paint is it will help make cleaning the walls easier. 5# If you are planning to replace the flooring in your bathroom, there are many options available to you. Before you decide on your flooring, there are a few things you should consider. You will want a floor that is not too slick when it is wet to avoid injuries from slipping. Be sure that the flooring you choose is able to withstand getting wet and cleaning chemicals. No matter how much you “think” you will not get water on your bathroom floor, it is always a good idea to consider all of the possibilities. There are many beautiful types of floors that are suitable specifically for bathrooms, such as vinyl, tile and linoleum flooring materials. 6# Some tidbits to think about – Choose tiles, shower curtains and other accessories to coordinate with the colors you choose for your bathroom décor. Don’t forget to install strong handholds and grab bars inside the bathroom to protect someone from slipping. Create your plan based on your dream bathroom. Then incorporate your dream bathroom into your budget. 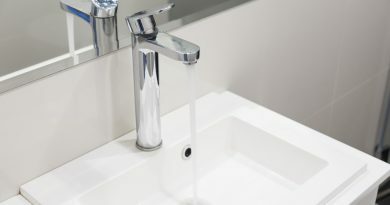 This will help ensure that you are able to create a bathroom you will love without the guilt of going over your budget!